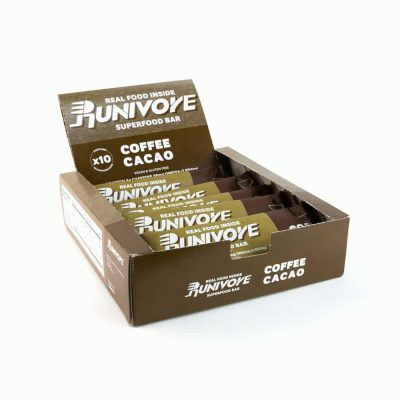 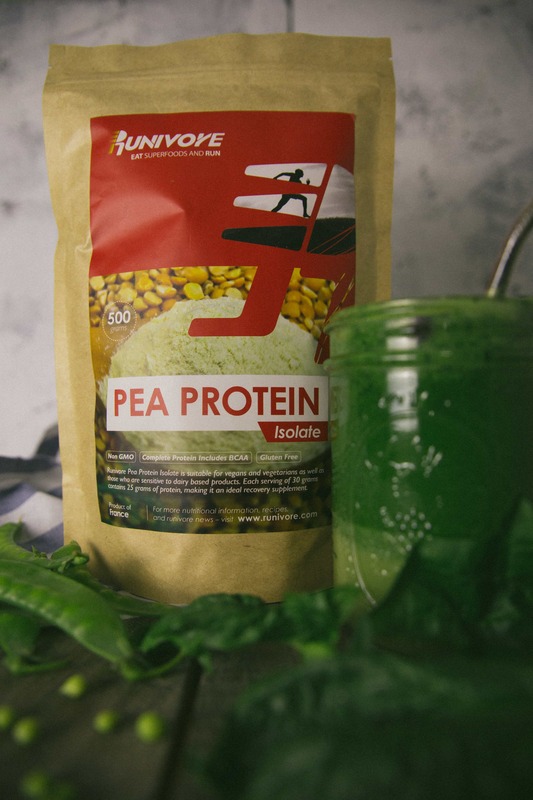 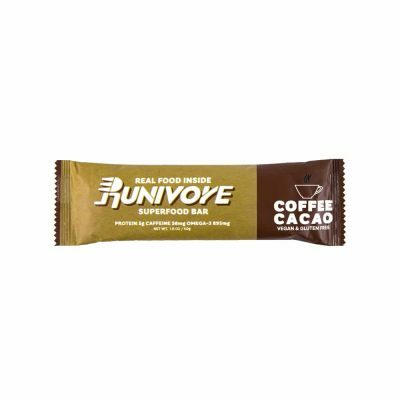 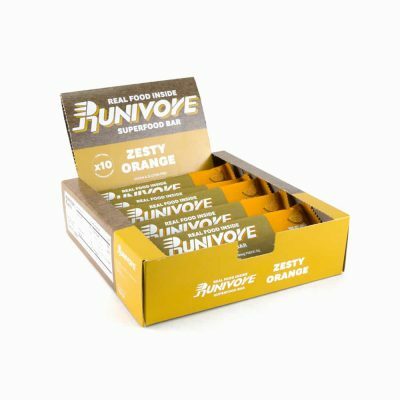 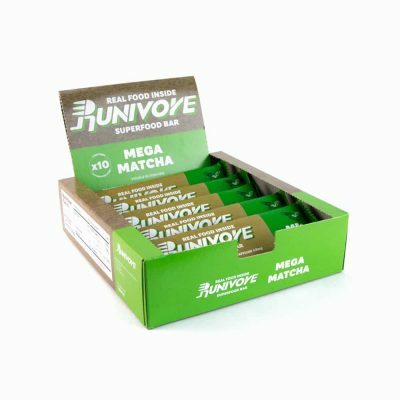 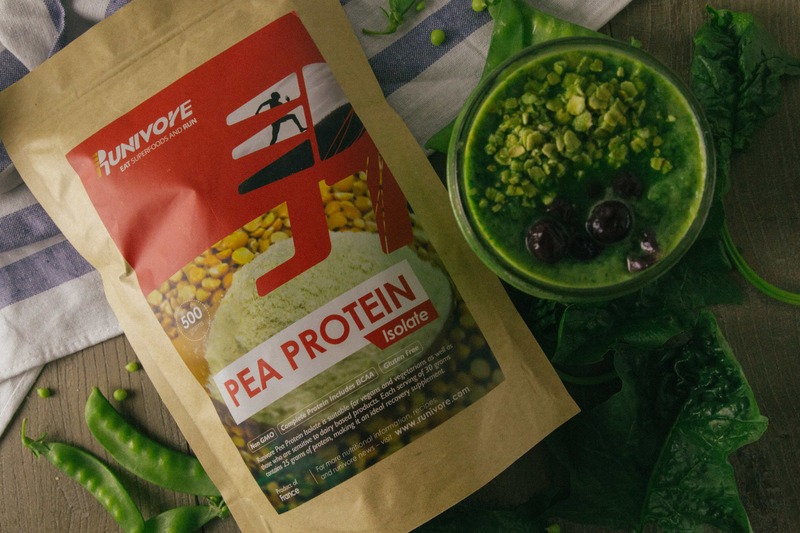 Runivore Pea Protein Isolate is a non-dairy, GMO free complete protein supplement. 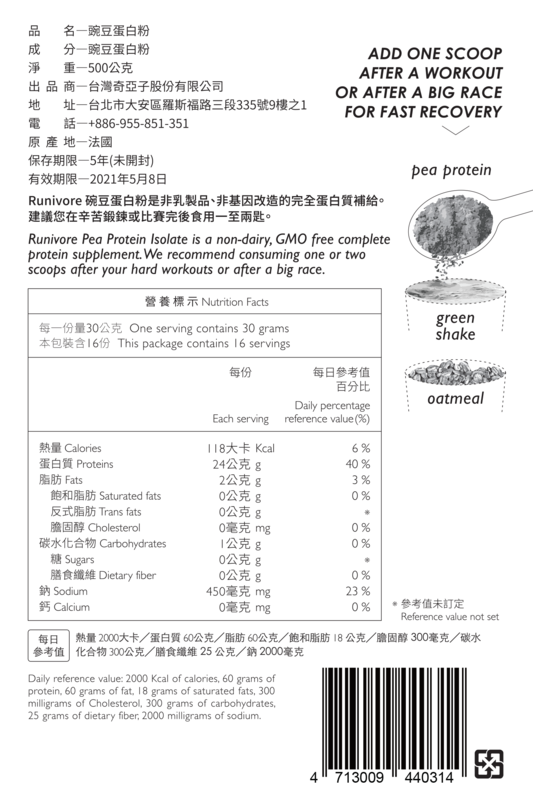 We recommend consuming one or two scoops after your hard workouts or after a big race. 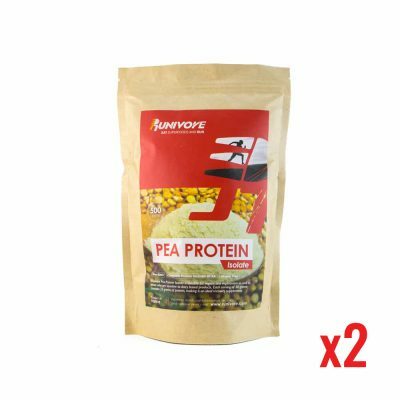 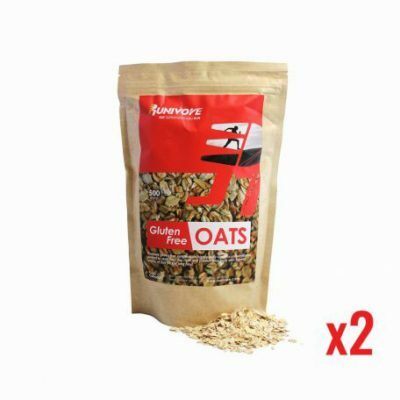 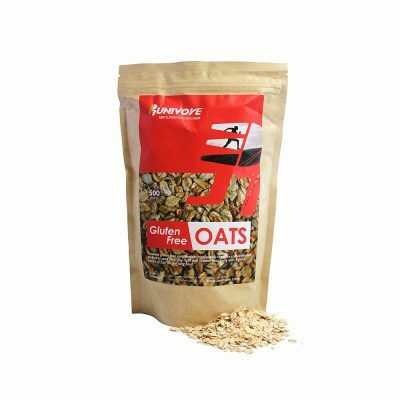 Each serving of 30 grams contains up to 24 grams of protein. 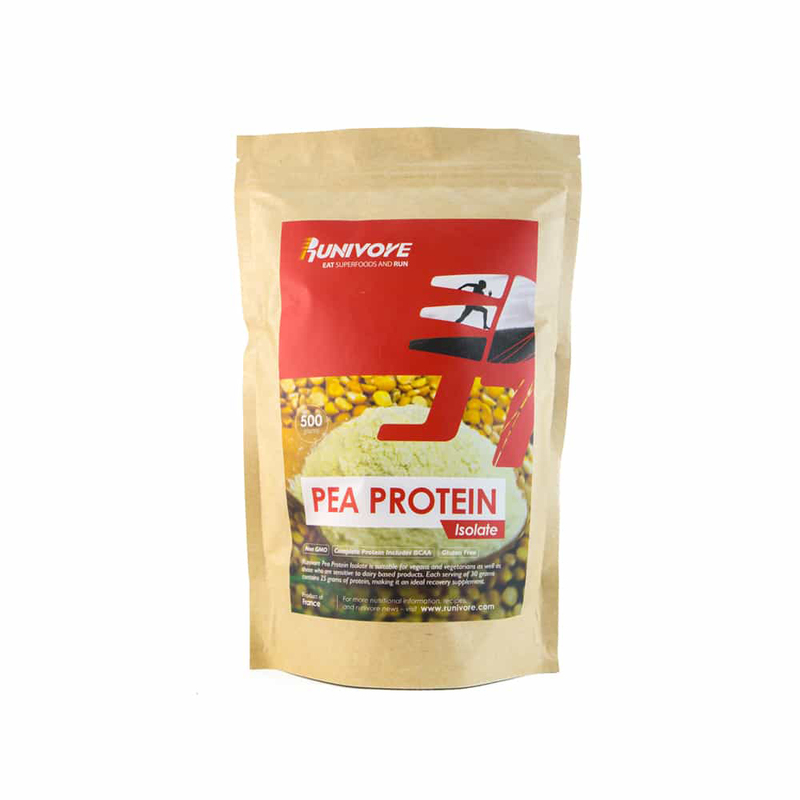 Rich in essential amino acids lysine, which the human body can’t synthesize on its own. 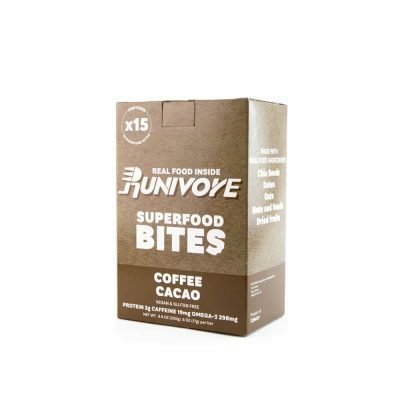 No allergens such as dairy, gluten and soy.